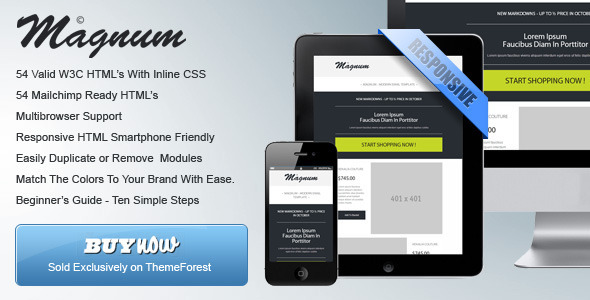 ‘Magnum’ provides an ultramodern innovative flat design concept. It has been tested on every major e-mail client and Inline CSS used for a full cross browser compatibility. Html’s are lightweight, commented and modular which makes the job of duplicate or hide modules very easy. This entry was posted in email templates and tagged email address, email addresses, emails, free templates, html email template, newsletter, outlook email, outlook express, outlook for email, web designer, web templates on November 27, 2013 by admin. 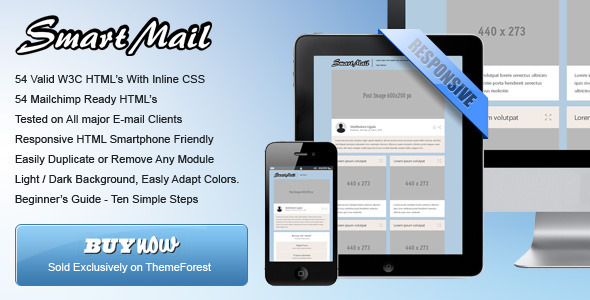 ‘Smart-Mail’ provides an ultramodern innovative flat design concept. ‘Smart-Mail’ has been tested on every major e-mail client and Inline CSS used for a full cross browser compatibility. Html’s are lightweight, commented and modular which makes the job of duplicate or hide modules very easy. ‘Mail-It’ is a set of general purpose email templates, designed to elicit a high click-through rate and capture customers initial response, whether it be a products catalog, Newsletter or for any campaign like E-commerce, Affiliate, Promotional, News. The product has been tested on every major e-mail client and Inline CSS used for a full cross browser compatibility. Html’s are lightweight, commented and modular which makes the job of duplicate or hide modules very easy. ‘Journey’ provides an ultramodern innovative design concept makes for an exceptional guest experience. 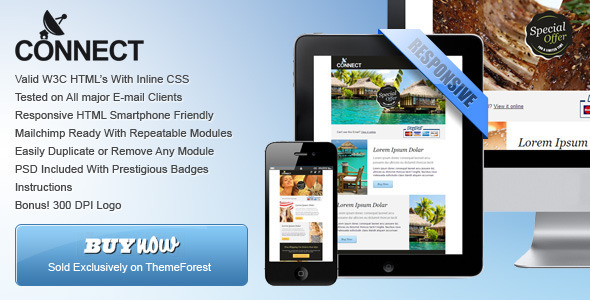 Have been tested on every major e-mail client and Inline CSS used for a full cross browser compatibility. Html’s are lightweight, commented and modular which makes the job of duplicate or hide modules very easy. ‘Connect’ is clean, super flexible and has a fully responsive design! This template sets the new design standard. its the most easy-to use email-template on the market! It have been tested on All major E-mail clients and Inline CSS used for a full cross browser compatibility. Html’s are lightweight, commented and modular which makes the job of duplicate or hide modules very easy. ‘Summer Metro’ provides a modern design concept makes for an exceptional guest experience. Metro is an internal code name of a typography-based design language created by Microsoft. A key design principle of Metro is better focus on the content of applications, relying more on typography and less on graphics. 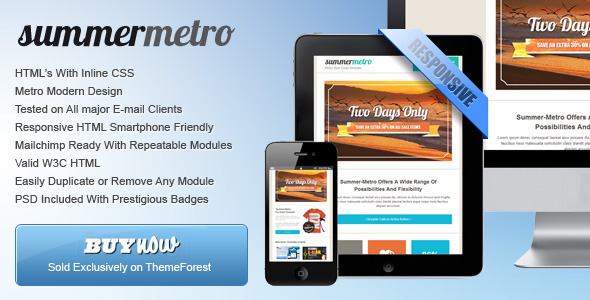 ‘Summer Metro’ have been tested on All major E-mail clients and Inline CSS used for a full cross browser compatibility. Html’s are lightweight, commented and modular which makes the job of duplicate or hide modules very easy. Email Marketing Is The Most Effective Online Marketing Tactic. almost half of American Internet users check or send emails on a typical day. 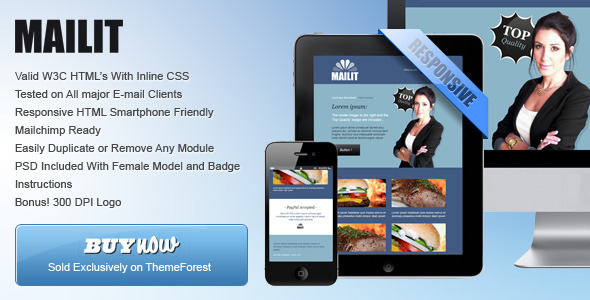 With my cross browser responsive html email templates you can do Email Marketing significantly cheaper and faster than before. 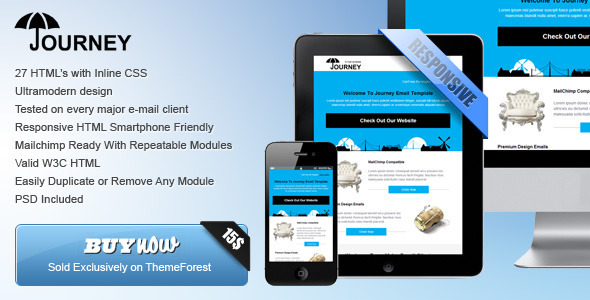 Cross Browser Responsive Html Email Template - Valid W3C HTML With Inline CSS, For Cross Browser Compatibility. Ready For Mailchimp With Repeatable Modules! You Can easily Duplicate or Remove Any Module. And all clients that render valid HTML.